Planes on Brit Decor? 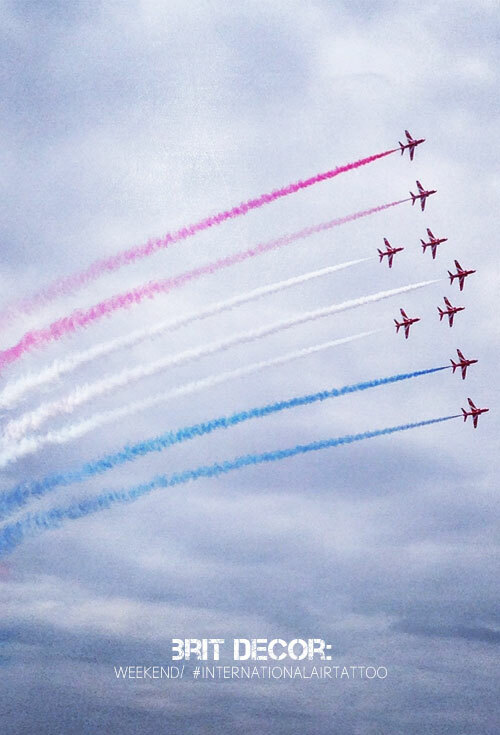 Well just this once because I couldn't resist sharing my first ever viewing of the Red Arrows in a blaze of red white and blue at the International Air Tattoo during the weekend. I also love the iconic red, white and blue palette in these photos. 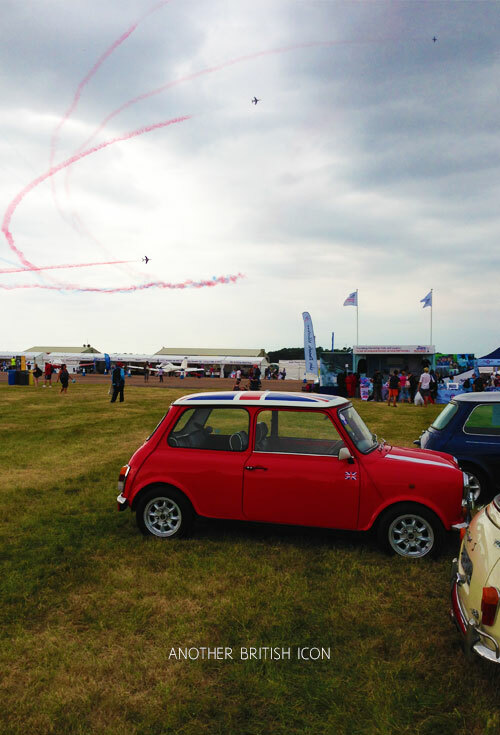 Following an invite from friends, this was my first ever air show at Fairford and I was unsure what to expect. 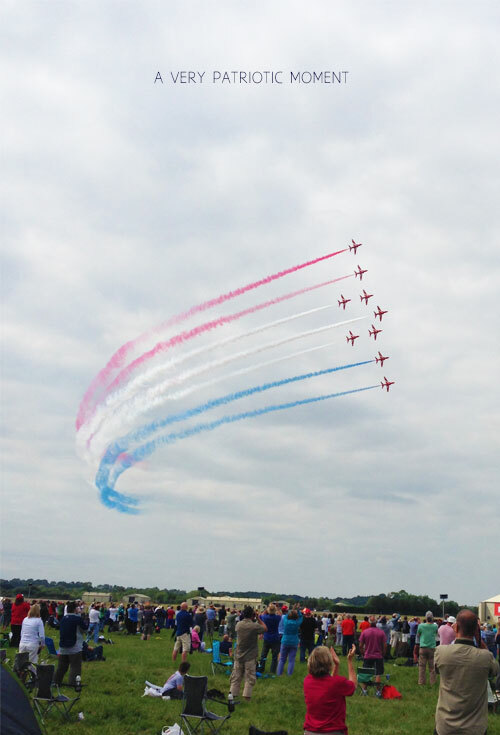 I possibly even felt a tiny bit 'geeky' about attending but those thoughts were quickly obliterated the moment I saw the first aircraft skilfully manoeuvring its way through the sky above me amidst gasps from the crowds. I can only describe the deafening roar of the fighter jets that followed, as they sliced their way through the sky overhead, as totally awesome. 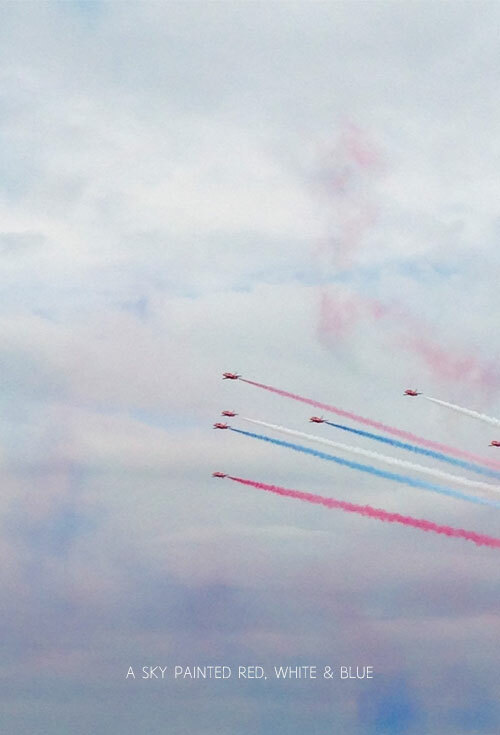 Perhaps predictably, the absolute highlight of the show (strawberry ice cream aside) had to be the Red Arrows with their supreme mid-air wizardry and iconic plumes of red white and blue smoke trailing behind them like colourful ribbons. Watching these guys actually gave me goose bumps in what was a very patriotic moment. I hope that whatever you did over the weekend, it was awesome too!